Okay, just a wee bit but yes, we’ve updated the website! I’ve also shifted the columns on the sides around a bit – what do you think of the new look? 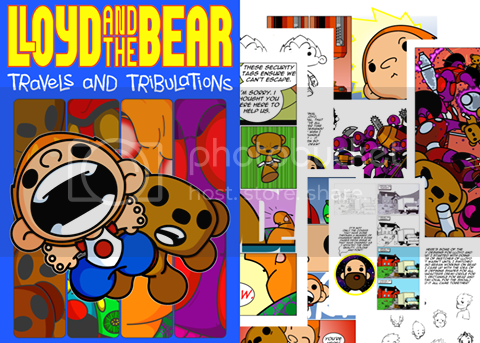 On other news, issues #8 of Lloyd and the Bear is available from Comixology so do check that out if you can! For those who haven’t picked up the book in it’s earlier incarnation this is the final chapter in the second arc of our heroes adventures! Even if you have read it before this edition has updated colour and fonts! Oh, and if you’re new here (as we’ve been handing out our fliers at conventions over the last few weeks) the hello! Do please have a look around our site and also check us out on Twitter and Facebook where you can follow us for the latest updates and news!